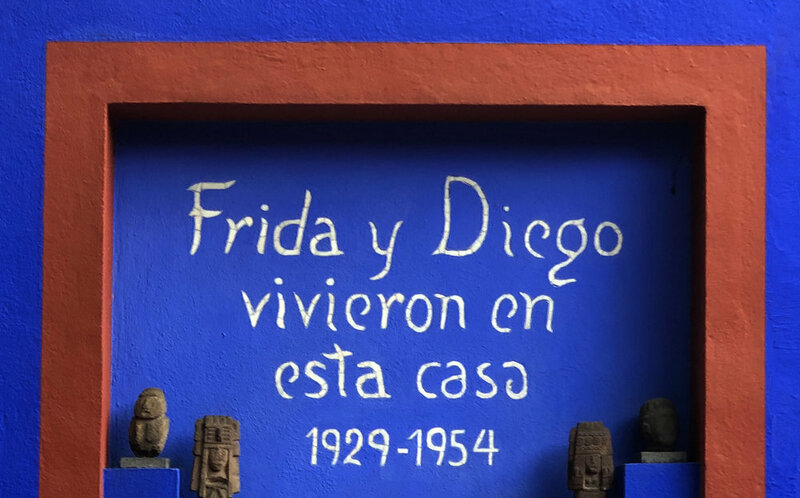 "Frida and Diego lived in this house from 1929-1954"
One of my ultimate bucket list of museums has been to see the Frida Kahlo house/turned museum in Mexico City. And I finally got to go last week during the 4th of July holiday. She is one of my favorite artists and someone who I have always admired when I was studying fine art. So here's where I put my art nerd glasses on and walk you through the story of her life and her art. La Casa Azul, otherwise known as the Blue House is The Frida Kahlo Museum located in Mexico City. 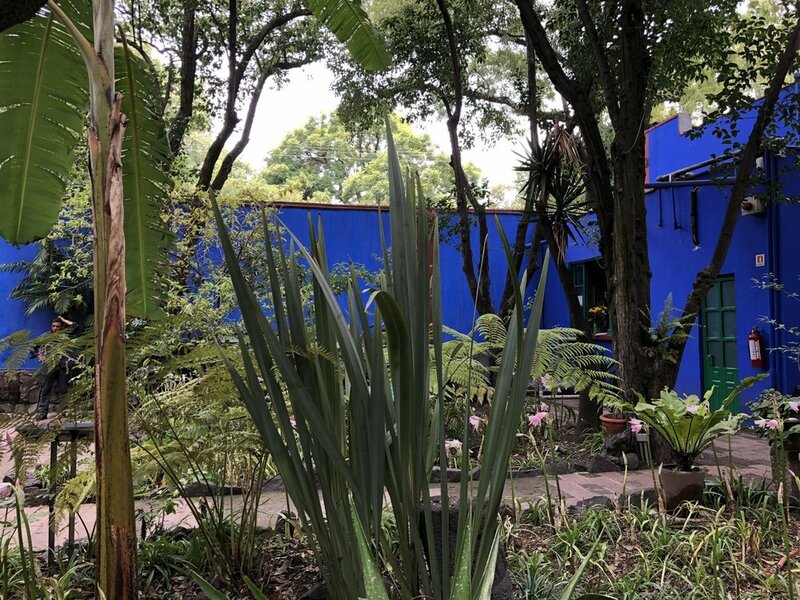 The cobalt-blue walls of this historic house museum is dedicated to the life and work of Mexican artist Frida Kahlo. It is where she lived and died. The first part of the tour consisted of her paintings and sketches curated in a total of five-rooms/galleries. 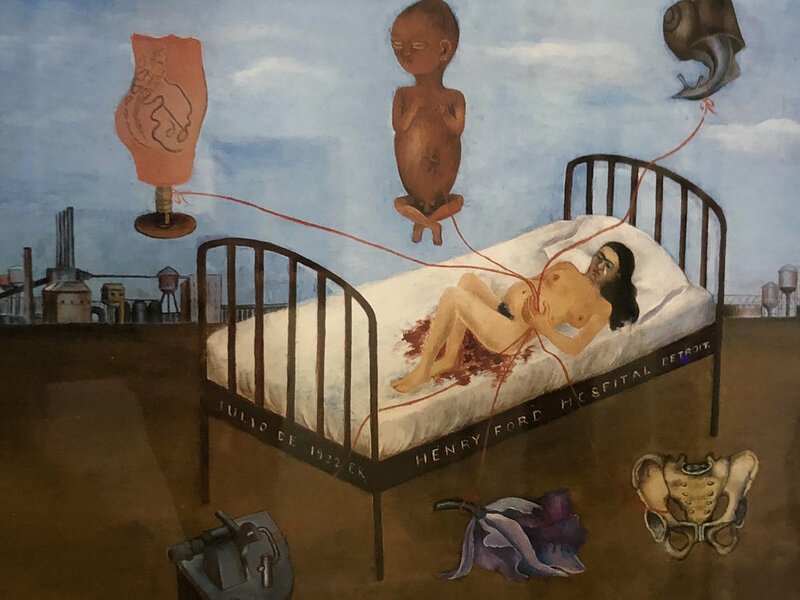 This tour walks you through her painful life story: coping with illnesses from the age of six, suffering from a tragic bus accident at the age of eighteen which resulted in her immobility and the beginning of her iconic artistic career. And then getting her leg amputated by gangrene. Her subjects that were of her obsession: infertility and self-portraits. Her art can be classified as surrealist. In the second part of the house, is her studio. 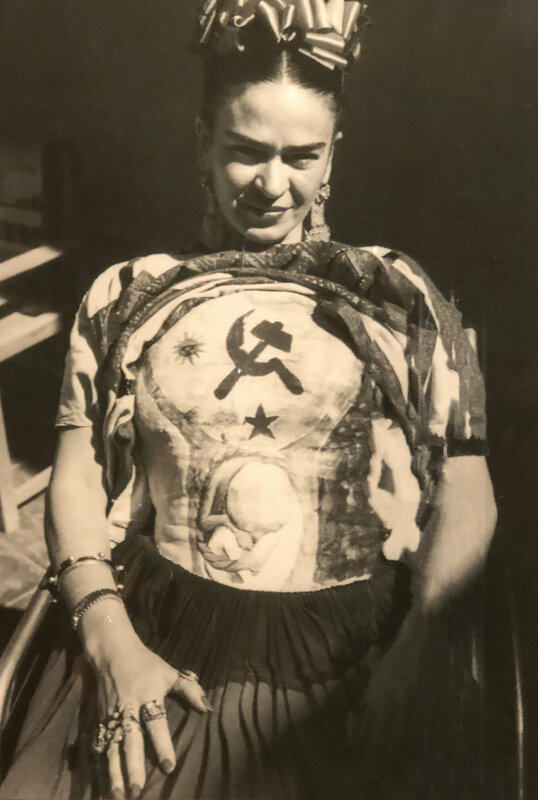 Her brushes, her easel, the mirror she used for her self-portraits, and her books—works of history, literature, art and philosophy, many of them marked with her own drawings and poetry—which attest to Frida's great intellectual curiosity. Frida used fashion to conceal her physical imperfections. 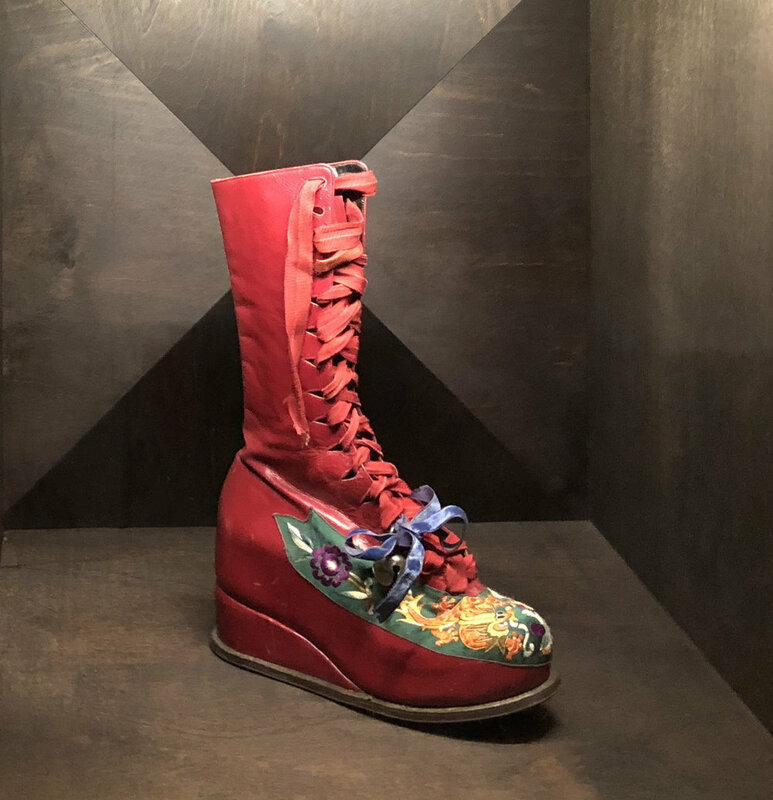 Two tragedies that were to befall Frida, would inform her wardrobe as much as they were to later form the bedrock of her existence and her art. The first tragedy was contracting polio at the age of six which resulted with a withered and shorter leg for life. Because of this, she began to wear long skirts and four socks on her thinner calf and used shoes with a built up right heel to disguise her imperfections. Then the second tragedy at the age of eighteen the bus she was riding after school got hit by an electric tramway car. The result was horrific causing a steel handrail to go strait into her left side of her body piercing her abdomen and uterus, leaving her unable to bear children. Her collarbone, spinal column and right foot were broken. And then later in life, she had her right leg amputated. The physical and phycological trauma from these events haunted Frida for the rest of her life.